Nicole Evelina is St. Louis historical fiction and romantic comedy writer. 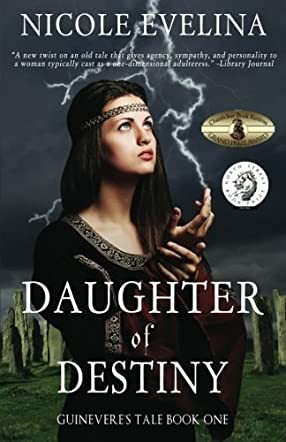 Her debut novel, Daughter of Destiny, the first book of an Arthurian legend trilogy that tells Guinevere’s life story from her point of view, was recently published and has been short-listed for the Chaucer Award in Early Historical Fiction. She is one of only six authors who completed a week-long writing intensive taught by #1 New York Times bestselling author Deborah Harkness. Nicole has traveled to England twice to research the Guinevere’s Tale trilogy, where she consulted with internationally acclaimed author and historian Geoffrey Ashe, as well as Arthurian/Glastonbury expert Jaime George, the man who helped Marion Zimmer Bradley research The Mists of Avalon.